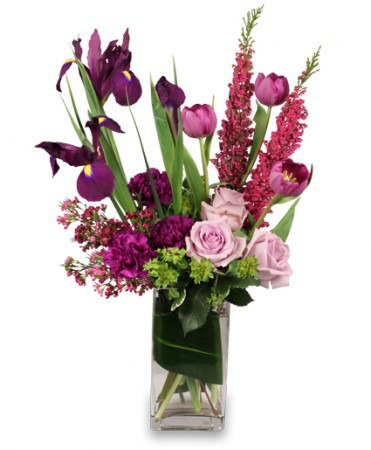 Majestic hues of magenta, lavender and purple. 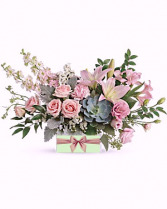 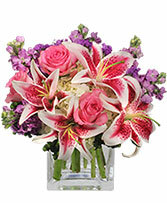 Filled with Pink Roses, tulips, Purple ris and magenta carnations, wrapped with a ti leaf. 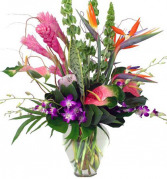 Purple Iris, Pink Tulips, Pink Roses, Pink Heather Or Lark, Magenta Carnations, Pink Wax, Ti Leaf.